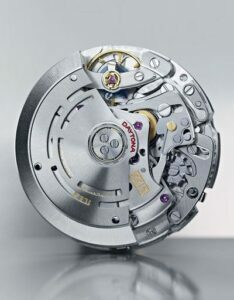 Giorgio Jewellers are experts in watch repairs. We also specialise in all watch services including Rolex, Cartier, Omega, Patek Philippe, Jaeger LeCoultre, IWC, Audemars Piguet, Vacheron Constantin, Breitling and Tag Heuer. You can rest assured your watch is in safe hands. Here at Giorgio Jewellers we are proud of the service we provide. We are members of The British Horological Institute. 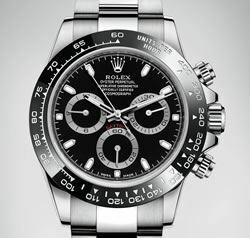 We are proud to offer a 1 year guarantee* on all watch repairs and service from the completion date. Please see our terms and conditions page for more information. We pride ourselves on good service, from replacement watchstraps & watch batteries to full watch repairs. All repairs and services carried out by Giorgio Jewellers are covered by a 1 year guarantee. The 1 year guarantee does not cover accidental damage, wear and tear i.e crown thread striping, anti-reflective glass coat wear and/or any repairs or services carried out by third parties. Any intervention including opening of the watch by you or any third party including other Watchmakers or Watch Professionals whilst the watch is under guarantee by Giorgio Jewellers will result in the guarantee provided by us void and Giorgio Jewellers will accept no liability. By being a customer of Giorgio Jewellers you agree to these conditions. Giorgio Jewellers polish and refurbish hundreds of watches every year. We will bring your watch back to its very best removing all but the deepest of scratches*.